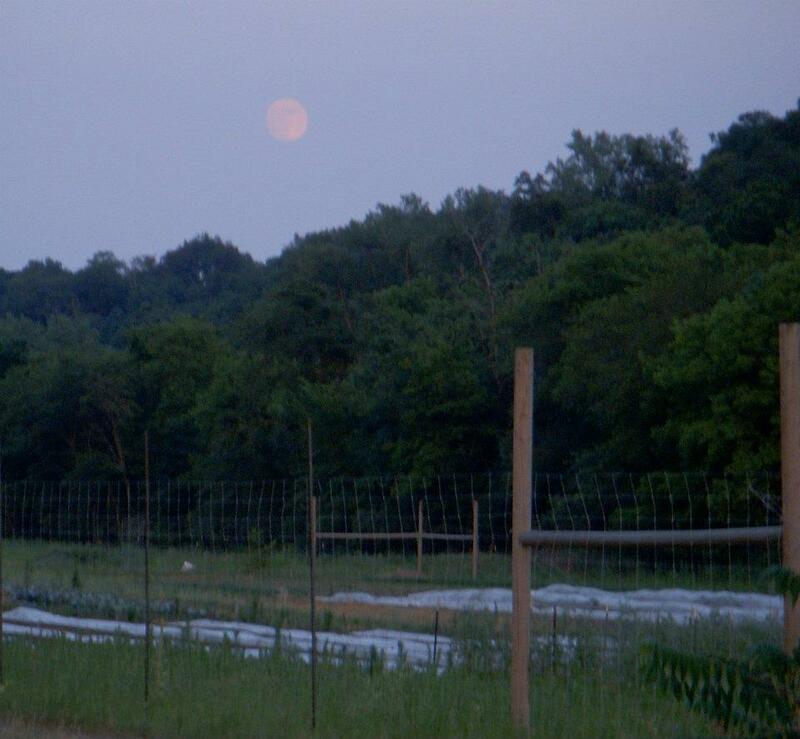 Farm News: The melons are ripening! That means last week all shares received a cantaloupe and this week too. It may need a few days to sit on your countertop to ripen a bit more. If you are not a cantaloupe person share it with friends, family or freeze it for future smoothies! Anticipated Harvest: Cantaloupe eggplant, peppers, potatoes, tomatoes, onions, head lettuce, carrots, zucchini, summer squash, and cucumbers. 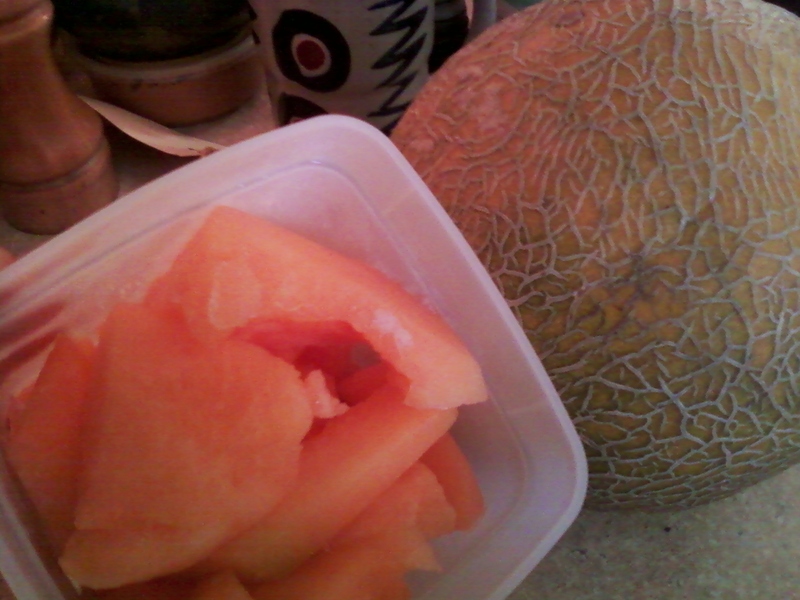 Wash the melon, cut it in half, scoop out the seeds, carefully remove the flesh from the rind and then cube/cut it. Store prepared cantaloupe in your preferred freezer safe container. Add it to your favorite fruit smoothie, thawed of frozen your decide. We recommend blending it with water, frozen raspberries and strawberries. Lastly can be sweetened with cane sugar, maple syrup, or agave to taste. ENJOY! Farm News: Cover crop, cover crop and more cover crop is the focus on the farm this past week. What is cover crop? Cover crop is seeded in areas of the field that do not have plants growing. Its purpose is to outcompete weeds, add organic matter, and also add nutrients to the soil. Planting annuals yearly is hard on the soil, therefore it is important to return nutrients in some form that is sustainable and organic. We use (all certified organic) wheat, oats, buckwheat, sohrgum sudan, winter wheat and clovers. Now we are just waiting for rain! Anticipated Harvest: Green beans, potatoes, tomatoes, onions, basil, lettuce, carrots, zucchini, cucumbers, and cabbage. 1 head cabbage, about 6 medium sized carrots, 1 bunch cilantro, 1/3 cup freshly squeezed lime juice,1/3 cup apple cider vinegar, 2 tablespoons salt, 1 tablespoon ancho chili powder. Other possible uses of produce: Traditional coleslaw, green bean and potato dish, glazed carrots, carrot or zucchini cake, crockpot stew (chopped carrots, potatoes, zukes, cabbage and onions), sandwiches, wraps, etc. Farm News: August has arrived, hopefully you have been able to do some of the things on your summer list before school is back in session. We were able to take a quick trip as a family to Duluth this past week to relax, visit with some friends, pick strawberries at Finke’s, and absorb the beauty and spirit of Lake Superior! We came back to the farm to harvest Thursday morning to discover something had feasted in the high tunnel and broke several of the tomato plants. The damage could have been worse. As mentioned last week, the field is quite caught up with weeding. This weekend we planted fall lettuce, cabbage, and broccoli, hopefully the outcome of the broccoli will be better this fall. Direct seeded was turnips, spinach, radishes and lots of cover crop. 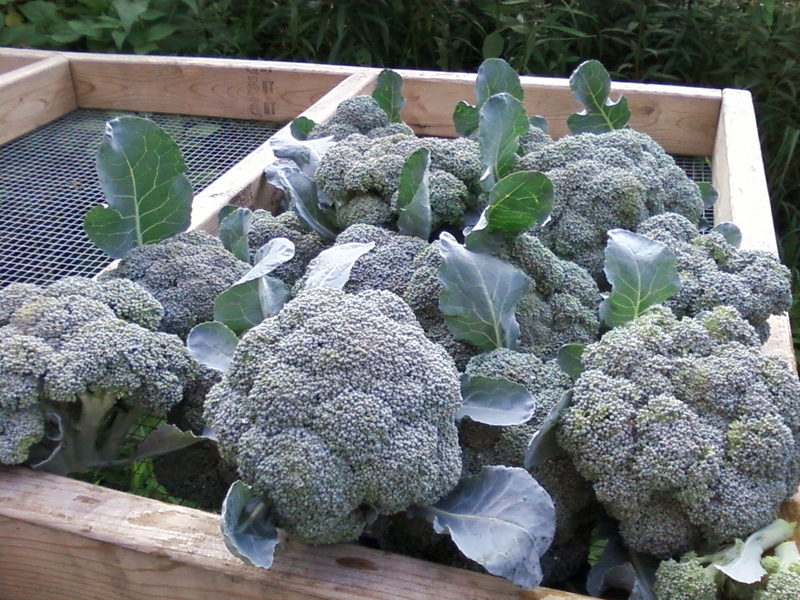 Of the 400 early broccoli plants we were only able to harvest 50, which is a very low number. We have finally come to terms that broccoli for some reason just does not grow well on our land. Therefore, broccoli plantings will be significantly reduced in the future, and hope for a higher outcome to harvest. Anticipated Harvest: Beets, cabbage, peppers, Green beans, potatoes, tomatoes, fresh eating onions (the larger white are Alisa Craig variety), basil, lettuce, carrots, zucchini, and cucumbers. Recipe of the week: This is a favorite at our house! Adán likes it topped with raspberry yogurt. Heat oven to 325 degrees. Grease two 9-inch cake pans. Whisk dry ingredients together. Melt the chocolate very slowly over low heat or in a double boiler. Cool, chocolate. Blend thoroughly with eggs and oil. Combine flour mixture with the chocolate mixture alternating with the beets. Pour into pans. Bake until fork can be removed from center cleanly. 40 -50 minutes. Makes about 10 servings.